This book takes a little getting used to. 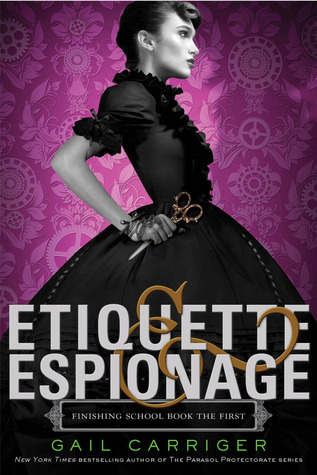 While it is true that Sophronia Temminnick is a very likable character and Etiquette and Espionage is a very readable book; both take a while to warm up to. 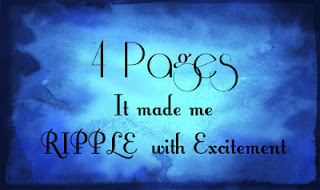 This is not a story that finds it's feet within the first few chapters and then proceeds to carry the reader along. The details of her education are sketchy and the who's and why's of a certain device that gets alluded to to no end, are sadly lacking. The saving graces of all this uncertainty are: you, as the reader are experiencing them with Sopronia and there are a whole host of wonderful friends and characters to entertain you while things are being sorted. Those readers who are familiar with Ms. Carriger's Parasol Protectorate series will be pleased to find that this book is full of the author's quick wit, Victorian sensibilities, and steampunk savvy. There are even a few supes thrown in for good measure. Though there are admitted similarities, this book is not, nor is it intended to be a shadow of the Parasol series. Please bear in mind that this series is intended for younger readers, and as such there is a bit of Pollyanna to be expected. What I mean by this is...as our unlikely heroine finds her feet and as such, her confidence, she tends to save the day a lot. In any other book, this could get old fast, but given the hilarity that often results in Sophronia's case, that is not a worry for this read. This book is a must read for lovers of Gail Carriger, steampunk, Victoriana, and FUN! I am so jealous you got approved for this! Great review. Thanks for sharing. This one is definitely one that has caught my interest. I've been a fan of Gail's Parasol Protectorate series so I'm really looking forward to this! I can't wait to read this! The cover is absolutely gorgeous. Thank you for the review.